Hi loves! How amazing is the weather this week? Life tends to be so much fun when the sun is shining! And with this Summer weather also comes some fresh Summer make-up! I guess you can agree with me that eyes and brows are the key part of any make-up look. Deciding between a natural or smokey eye will change your look dramatically. 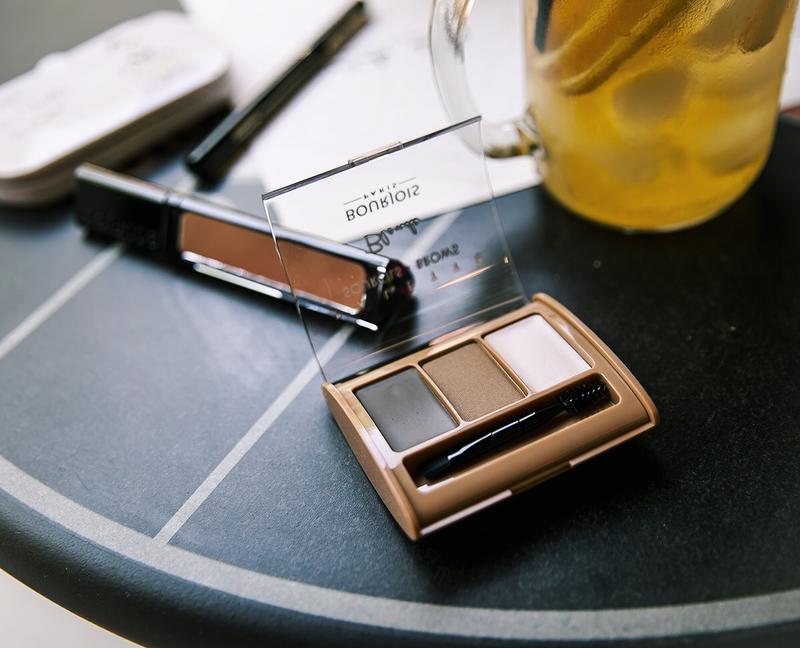 I teamed up with Bourjois to showcase some fun new products with you! 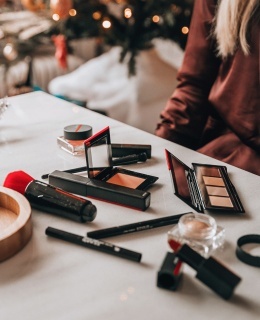 I’m a big fan of Bourjois products as they offer playful and fun colours and trends at an affordable price without giving in on quality. After applying a neutral eye primer, I usually start my make-up look with eyeshadow. I love to combine 3 different shades within a colour palette to create a very soft smokey eye. 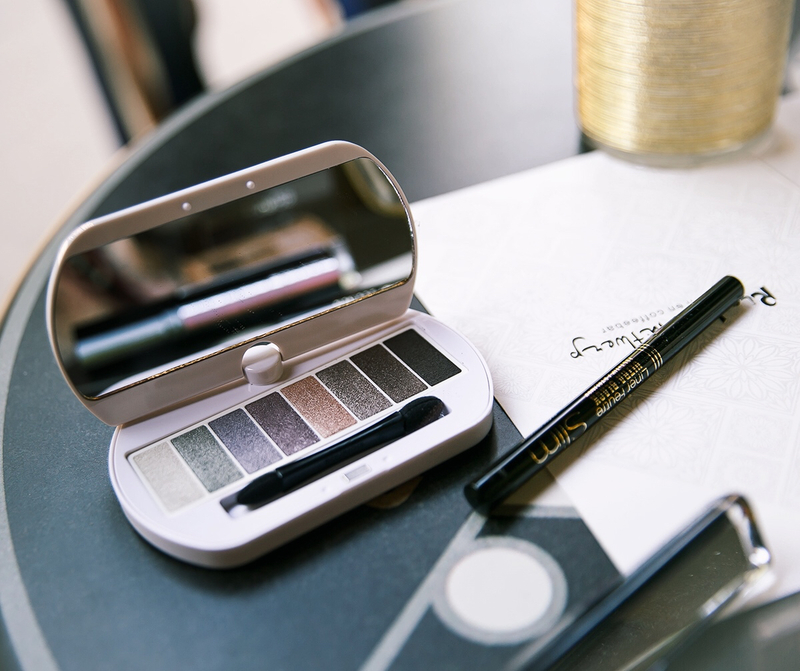 Les Nudes palette by Bourjois brings different shades of lilac, silver and bronze to create a glamorous, yet natural coloured eye. Next up, I use a black eyeliner pencil to create a fine wing on my upper eyelid. On days when I’m in a hurry I sometimes skip this step but somehow I always feel a bit naked without. This slim Liner Feutre one from Bourjois gives me all the precision I need. And then, in my opinion, the most important step from every make-up look: mascara! I was really excited to try the new Volume Reveal Adjustable Mascara by Bourjois as it promises volume without giving clots. I tried it on and boy did it not disappoint! You can re-apply the mascara in different layers all day long, whenever you feel you could use a little touch-up. 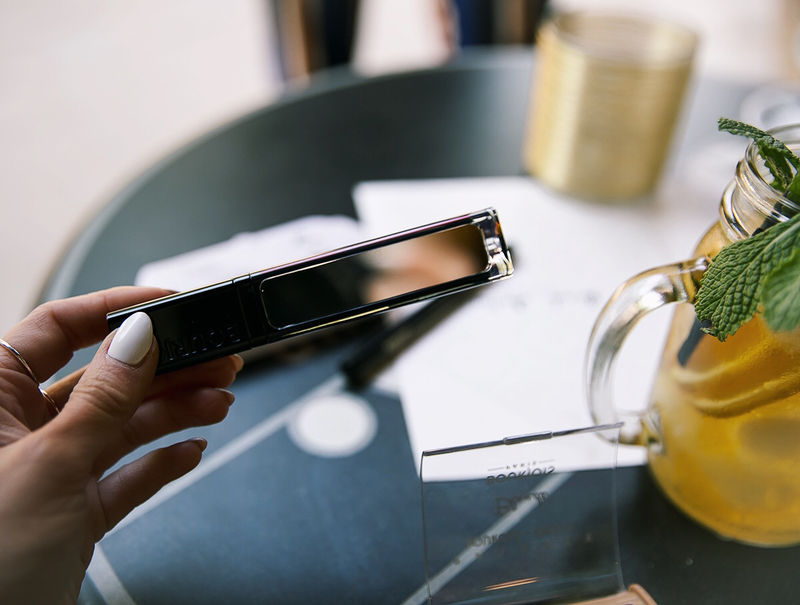 The packaging of the mascara contains a little mirror, which is simply perfect to use on the go! And last but not least, to finish every eye-look: brows! I must say I never really liked my natural brows. They are just as blonde as my hair, which makes my face look quite pale and without expression. I guess you can imagine the importance of a good brow kit. I picked this Blonde Brow Palette which contains 3 different colours made from a thick texture, to make sure the long-lasting wear of the product. I used the darkest colour to shape my brow and make it a little bit thicker. The light blond colour is perfect for filling in the brow precisely. The lightest colour is perfect to apply with your fingertips right underneath your brow. It will lift your brows optically, just how I like it! Curious to try these amazing Bourjois products yourself? The Volume Reveal Adjustable mascara is exclusively available at DI, this week for only €10 instead of €16,99. The other products are also available at DI! Post made in collaboration with Bourjois.